Alas, it’s time to store away the ski and snowboarding gear for the season. Coincidentally, it’s also time to plan the perfect ski resort SUMMER vacation. Yes, summer is the ideal season to vacation with kids at ski resorts, where outdoor recreation abounds, and luxury on a budget exists. Many ski resorts beckon visitors with their outdoor summer recreation and milder high mountain temperatures. Gondolas, trams, and chair lifts transform into airborne scenic byways. Black diamond slopes become hiking, mountain biking, and zip-lining routes. Expansive runs sport disc-golf courses and alpine slides. Snow-making water reservoirs turn into pedal boat fishing ponds. 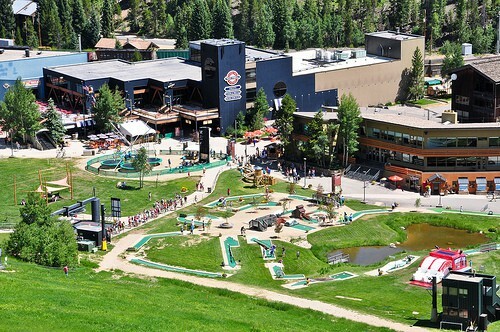 Ski resort bases become carnivals with miniature golf, bungee trampolines, climbing walls, and bounce houses. Resort base plazas offer concert stages for well-known entertainers while spectators enjoy stadium lawn seating. All this fun gives après ski a new meaning! If milder temperatures and outdoor recreation doesn’t convince you that visiting ski resorts in the summer is a good idea, then consider enjoying some luxury on a budget. It’s true; the ski crowd digs luxury, as evidenced by the world-class lodging at most major ski resorts with amenities fit for a king, queen, and their little princes and princesses. This luxury still exists when the snow melts! Better yet; as the snow pack dwindles, so do the lodging rates! Just because the snow has melted, doesn’t mean it’s time to disregard a ski resort vacation. Ski resorts are catering to families by offering plenty of recreation opportunities and luxury on a budget. So go ahead and pack the skis away, but be sure to hit the slopes this summer! Canyon Resort recently completed several capital improvements including a miniature golf course, mountain bike park, zip line, and a reservoir used for paddle boating and fishing. These improvements have made this resort the largest four season destination in Utah! 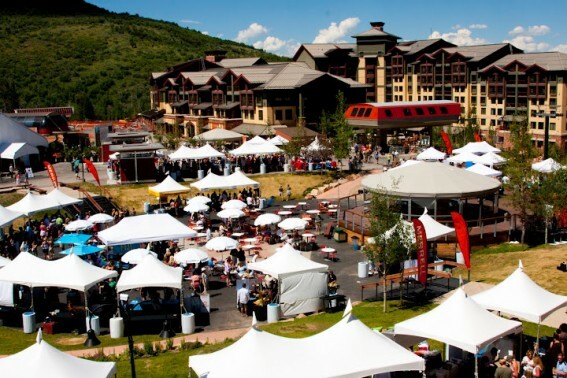 The official summer season at Canyons Resort runs from June 14 – October 6 and includes the exciting Zip Tour Adventure, mountain bike park and trails, Summer Concert Series and the weekly Park City Farmer’s Market. The resort offers some pretty luxurious lodging options, including the deluxe Grand Summit, located within steps of the Red Pine Gondola. My family visited Canyons Resort last summer and enjoyed riding the Red Pine Gondola, boating, fishing, and hiking down the Red Pine Loop Trail. 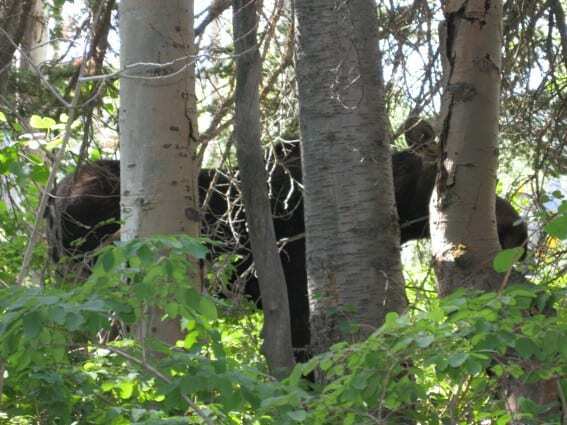 Here we spotted a moose playing hide-and-go-seek along the trail. See if you can spot him in my picture below. Also, be sure to check out my list of “Canyons Resort: Best Summertime Family Activities” to help you plan an awesome family vacation to this incredible all season destination resort. Park City Mountain Resort offers a variety of fabulously fun and family friendly adventures for kids of all ages and activity levels. 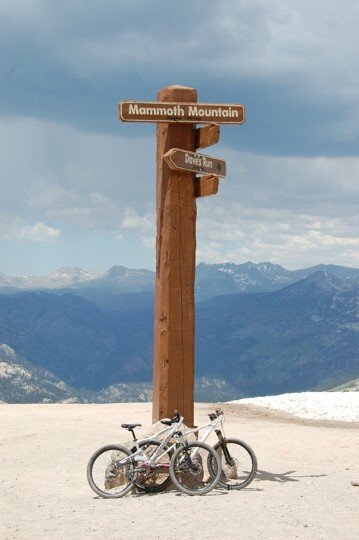 If you’d like to mountain bike, take one of two lifts from either the resort’s main base area or Town Lift directly from Park City’s Historic Main Street to explore my favorite mountain bike trail anywhere! The resort also offers Utah’s only alpine coaster, one of the world’s longest alpine slides, two different zip lines, an Adventure Zone with miniature golf and climbing wall, and the Little Miners Park area. If you get hungry, try the Crescent Burger Shack or relax at the Legends Bar & Grill. When the snow melts away, Snowbird transforms in to a mountain carnival complete with a big top tent, adventure rides, and entertainment galore. Purchase an all-day activity pass and enjoy unlimited family fun including the aerial tram, alpine slide, mountain flyer, climbing wall, bounce house, bungee trampoline, ropes course, and mechanical bull. Several events are featured throughout the summer including free concerts, the Wasatch Wildflower Festival, Brewfest, Mountain Music Festival and Stargazers. Be sure to register early for Snowbird’s summer day camps for ages 4-12 where kids can experience adventures such as nature hikes, swimming, arts and crafts, and science experiments each day. You don’t have to be famous or fabulous to vacation in Vail during summertime, but you may need a bike to really fit in. 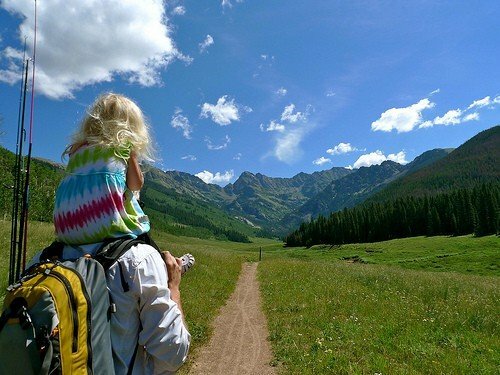 One of my favorite sights in Vail was seeing a bike-riding Daddy, carrying his newborn in a Baby Bjorn, toting a preschooler from a bike wagon, while his older two kids trailed along on their bikes! It was like “Daddy Daycare on Bikes”, impressive! Daily Eagle Bahn Gondola service from Vail runs from June 15 – September 3 where visitors can experience high elevation family fun at Adventure Ridge. Families can also explore trails on bike or foot, schedule a horseback trail ride, guided hike, or motor tour. 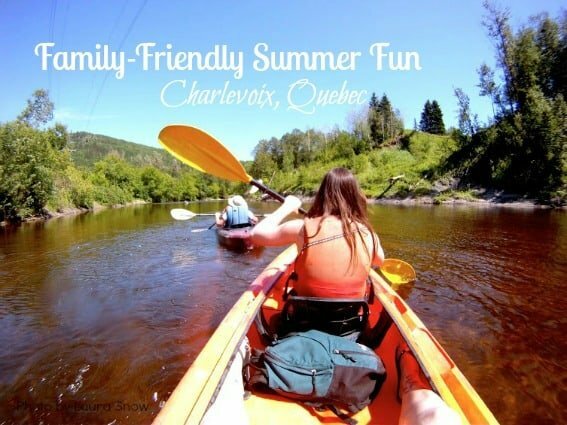 Check out my “Vail: Best Summertime Family Activities” list to help you plan your next family vacation to this fantastic destination. Squaw Valley offers a myriad of fun activities for families during summer. Resort at Squaw Creek offers children the only water slide in all of Lake Tahoe! Younger children can safely splash in Squaw’s kiddie pool and sandbox. Enjoy the Resort at Squaw Creek’s Golf Course and family golf packages from special children’s tees; only $45 per adult and kids 17 and under play free. The resort’s other great options include a bike ride to Lake Tahoe along the Truckee River bike path, guided hikes, a mini zip-line, tram ride to High Camp, and of course there is always Mountain Buddies, the resort’s year-round children’s program, for kids 4-12. Experienced staff provide children a variety of fun activities each day including tennis, wildflower walks, nature hikes, star-gazing, creative arts and crafts, sports, and an obstacle course. With activities suited for all ages, Northstar California is a one-stop shop for summer vacationers who seek activities to keep the whole gang entertained. 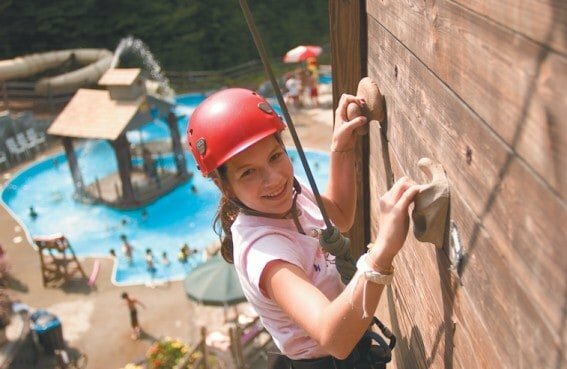 Parents and older children will enjoy roller skating, mountain biking, golfing, scenic lift rides for sightseeing, an APEX bungee, ropes course, hiking, fly-fishing, and tennis. Parents with kids ages 4-12 can check out the Kid’s Adventure Club, which is offered daily and provides interactive learning experiences through nature hikes, games and activities. From June through September families can join the President of the Nevada Science Coalition, for a unique and educational night under the stars. 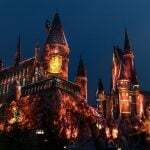 Every tour is as different as the starry skies above however each will include a poem reading, a fun space quiz with prizes, a laser tour of the stars and constellations, and a telescopic viewing. So bring a child’s curiosity and plenty of questions for an evening of wonder and awe. Winter Park Ski Resort doesn’t change its name to “Summer Park Ski Resort” in the off-season, but we think it should. This resort offers plenty of high-altitude family fun. Here families can experience the state’s longest alpine slide, an expansive mountain bike trail system, miniature golf, bounce house, mini zip-line, bungee trampoline, climbing wall, geocaching, and disc golf. Consider planning a summer trip during one of the resorts special events such as the annual Winter Park Chocolate Festival or the Annual Fairy House Festival where writer Tracy Kane will read from her Fairy Houses Series of books and teach families how to create their own fairy houses. 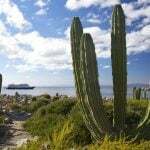 The resort also hosts several summertime daily and weekly activities including cowboy sing-a-longs & s’mores, kids’ night out, and family movie nights. Be sure to have your kids earn a prize and certificate by completing activities through the resort’s Jr. Adventurer’s Club. Mammoth is just as beautiful in the summer as it is in winter, maybe more so. The eastern Sierras are paradise for hikers, fisherman, and mountain bikers who love sunshine and the mild temperatures which the higher elevations provide. Mammoth Mountain Resort offers scenic gondola rides, mountain biking, and zip lining for kids. A shuttle from the resort takes hikers down to Devil’s Postpile National Monument which features amazing hikes, including one to scenic Rainbow Falls. During the summer months, all the mountain passes are open, including the pass that takes daytrippers to nearby Toulumne Meadows in Yosemite National Park. Read these Mammoth Mountain tips for more summer fun. Keystone Resort in Colorado is just a 90 minute drive up I-70 from Denver and is geared towards family fun in every season. During the summer months, the ski runs become mountain bike paths and the massive ice skating rink thaws out to offer fishing and boating on the 5-acre lake. Festivals such as Kids Discovery Days and Kidtopia Kids Fest as well as fishing derbies, concerts, and storytelling dominate the summer. Families will love the convenience of condos such as those in River Run Village which offer full kitchens, swimming pools, and convenient access to the gondola. Those craving some summer snow will definitely have to check out snow tubing atop Dercum Mountain, the highest tubing hill in the world! 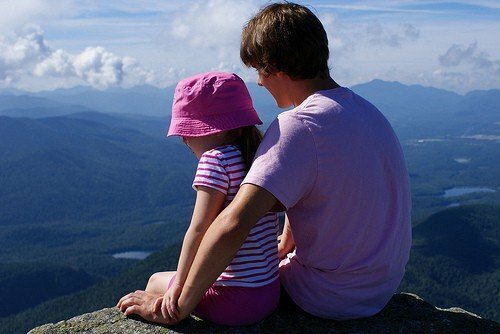 Six million acres surround Whitehouse Mountain where Adirondack Park and the highest vertical drop in the east beckons nature loving families to explore in the summertime. Here families can ride the Cloudsplitter Gondola or drive the Whiteface Veterans Memorial Highway to the top of Little Whiteface. 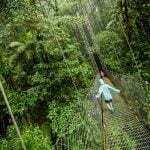 Let this be your family’s starting point where hiking trails and mountain bike paths are sure to summon exploration. If your family is in the mood for winter sports during summer, rest assured you can still slap on some ice skates and glide like an Olympian across Lake Placid’s Olympic Center ice arena. Whiteface hosts several events throughout the summer season such as Wet ‘n Wild Wednesdays where families can witness freestyle aerialists practicing their flips while landing in a pool; and Freaky Friday, where ice skating athletes show off their skating skills while abandoning regular routines in favor of humor and amusement. Just last year Seven Springs Mountain Resort added to its list of family fun activities by offering a high-flying family adventure on its 2,000 foot Screaming Hawk Zip-line Course, and when your family isn’t soaring over ski slopes from above, consider tubing. Yes, summer temperatures and lack of snow doesn’t inhibit tubing at this resort. Just jump on an inner tube and slide down one of the resort’s 600 foot waterless chutes aligning the slopes. Other adventures offered include hydro-biking, alpine sliding, Segway tours, paddle boats and several day and overnight kids’ camps. Smugglers Notch Resort offers more activities than any family could possibly fit in to one vacation and they guarantee fun. Really, the resort has a written policy that if kids don’t find fun in any of their children and special interest camps, they will reimburse you. Now that’s what I call a no risk family fun vacation! 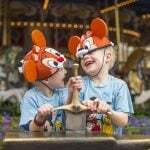 In fact, kids can “major” in fun at the resort’s Summer Fun University where each program is targeted to a specific age group, from 6 weeks to 17 years of age. Be sure to check out the resort’s water park with its 8 pools and 4 water slides, and the resort’s Funzone Family Entertainment Center with its bounce houses and inflatable slides. The resort also offers several events throughout the summer including family block parties, go cart races, farmer’s markets, entertainment, and its own Vermont County Fair each week! Also don’t miss Mount Snow Vermont! Cranmore Mountain Resort transforms with each season, and the summer is no exception. Offering outdoor summer concerts complete with fireworks, families can also enjoy the Aerial Adventure Park, bouncy houses, bungee trampoline, giant swings, the Soaring Eagle, mountain coaster and scenic chairlift rides. The summer season officially kicks off on May 26th. The King Pine Ski Area is closed for the summer but the mountains are still busy hosting an outdoors-oriented summer camp for boys at Camp Tohkomeupog. Nearby, families can enjoy lakeside camping along the shores at Danforth Bay Camping & RV Resort which is one of New Hampshire’s most popular RV and camping spots. 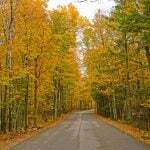 They offer a full slate of recreational activities as well as lakeside fun. Purity Spring Resort offers a variety of unique theme weekends including ballroom dancing, scrapbooking and quilting just to name a few. Guests have full use of all resort amenities, including water skiing, sailing, kayaking, hiking, fishing, boating, daily activities, indoor pool, spa, fitness room and even complimentary child care in the log cabin Club House! Guests can choose to stay in lakeside condos or cottages designed to accommodate any size family. There are lobster bakes, breakfast cookouts and family style meal services which makes staying here delightful and worry free. Massanutten Resort, located in the beautiful Shenandoah Valley, and only 10 minutes from Harrison Virginia, is a four season resort independent of freezing temperatures and white stuff on the ground. The resort claims to have over 125 things to do; so there is plenty of recreation to be found here. Families can wade, float, slide, and surf at the resorts own indoor/outdoor waterpark or play a round of golf at one of two golf courses at the resort. Other recreation opportunities include hiking, boating, horseback rail rides, and high flying zip-line adventure. Family members of all ages and adventure levels are sure to find some summertime fun at Boyne with its exhausting list of activities including scenic chairlifts, hiking, biking, zip-lines, golfing and tennis. Be sure to check out the Avalanche Bay Indoor Waterpark at Boyne Mountain Resort, Michigan’s largest indoor water park at 88,000 square feet and full of water adventures. The resort hosts a myriad of complimentary events throughout the summer such as fishing, games and treats, hayrides, bonfire & s’mores, dam tours, and family movie nights. Be sure to check out the kids’ day and overnight camps available, including Fritz’s Adventure Camp (for ages 5-12), Boyne Highlands Adventure Camp (for ages 3-13), and the new overnight Camp Edelweiss (for kids ages 12-15). Ann Anderson is a Mom of 3 little explorers. Her family loves road trips, National Parks, and any place off the beaten path. She lives for three day weekends where her family can be found in their packed SUV on another great adventure. Ooh! I SO want to visit a ski resort in summer sometime! Don’t forget the free events that happen all summer long in ski towns like Breckenridge, Colorado!